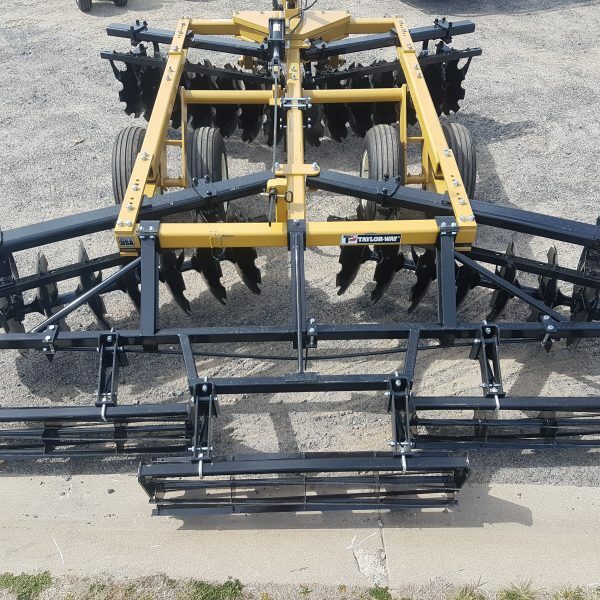 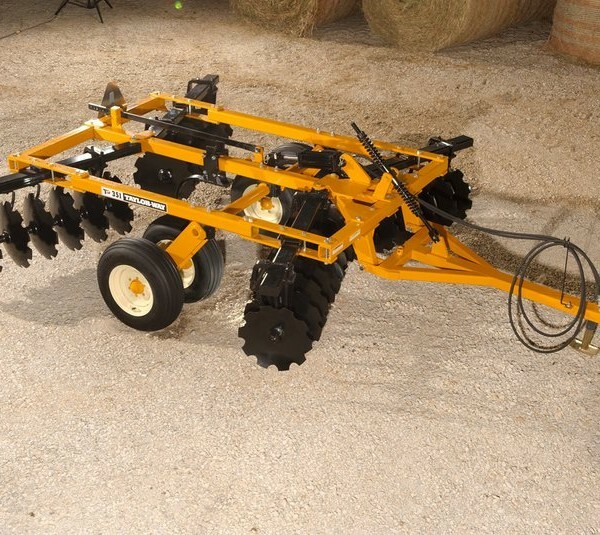 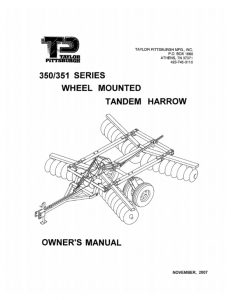 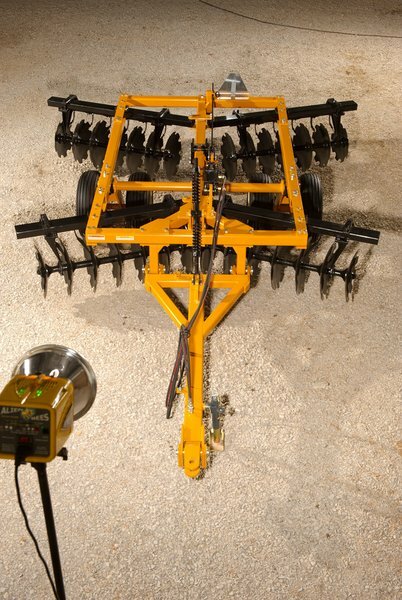 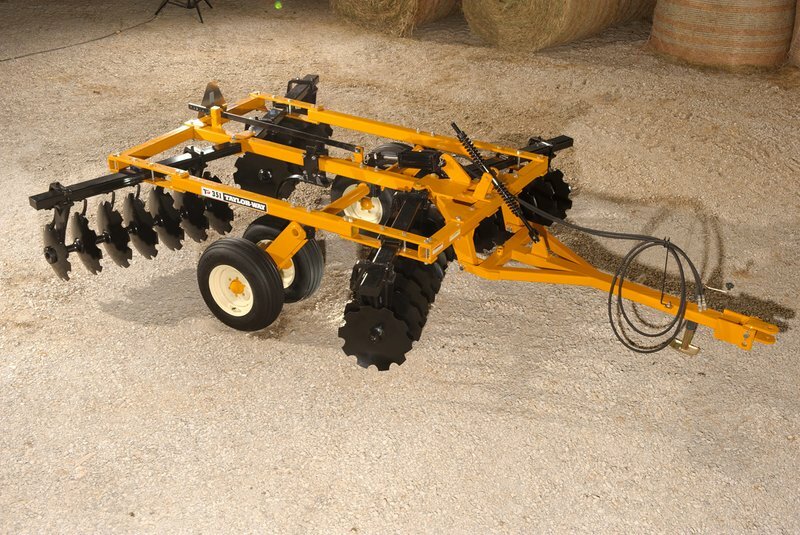 When it comes to sheer versatility and performance, there’s never been a better choice than the Taylor-Way 351 Tandem Disc Harrow. 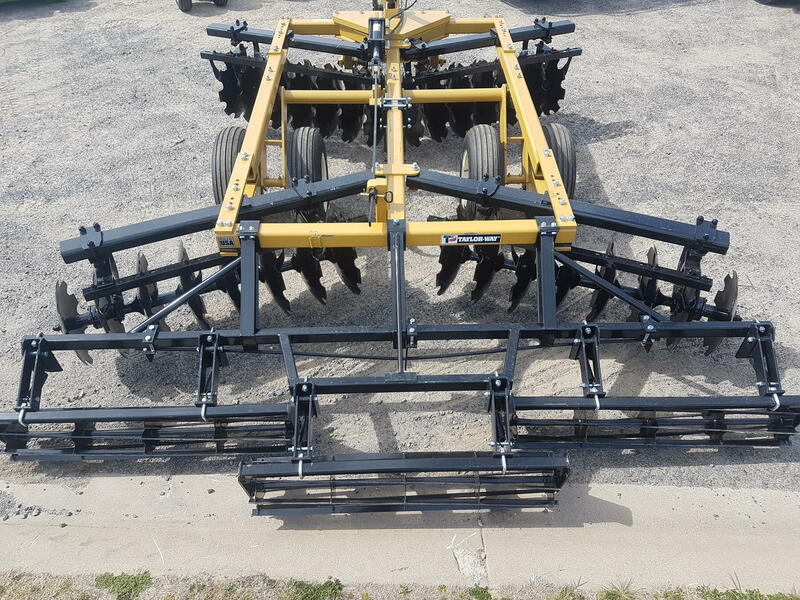 With nearly 40 options in narrow and wide frame configurations, the 351 is engineered with smart features, easy adjustments and customizing extras. 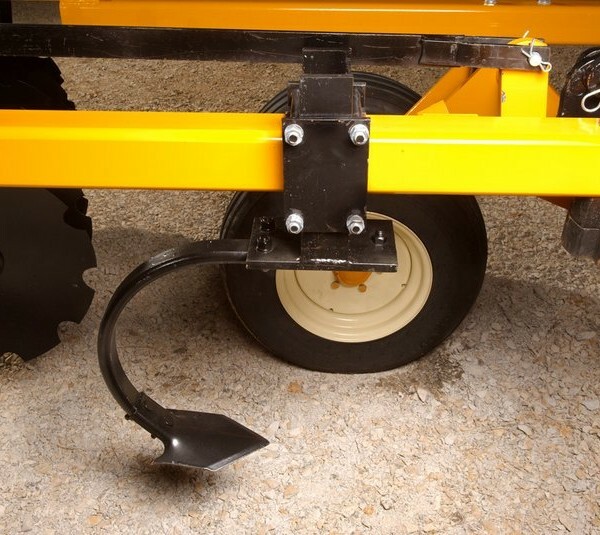 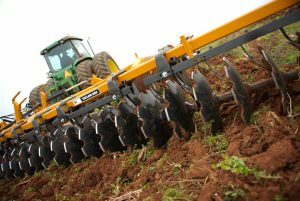 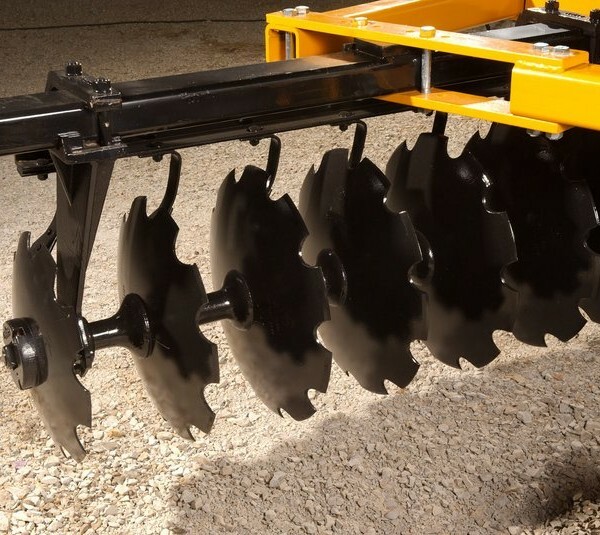 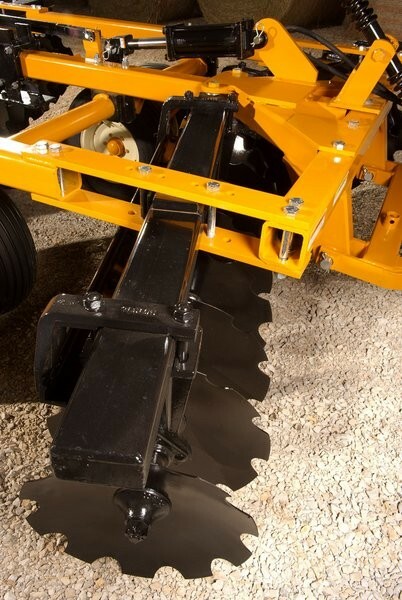 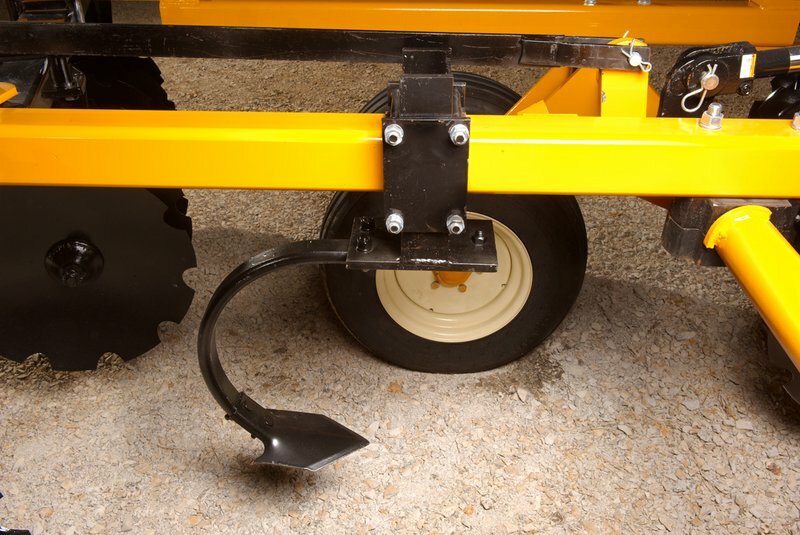 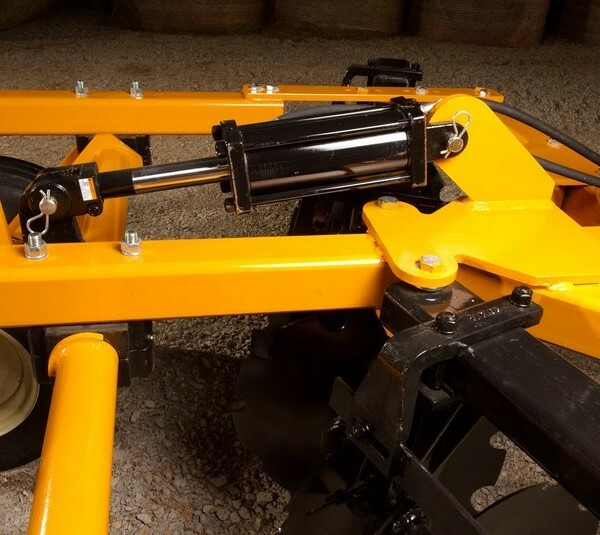 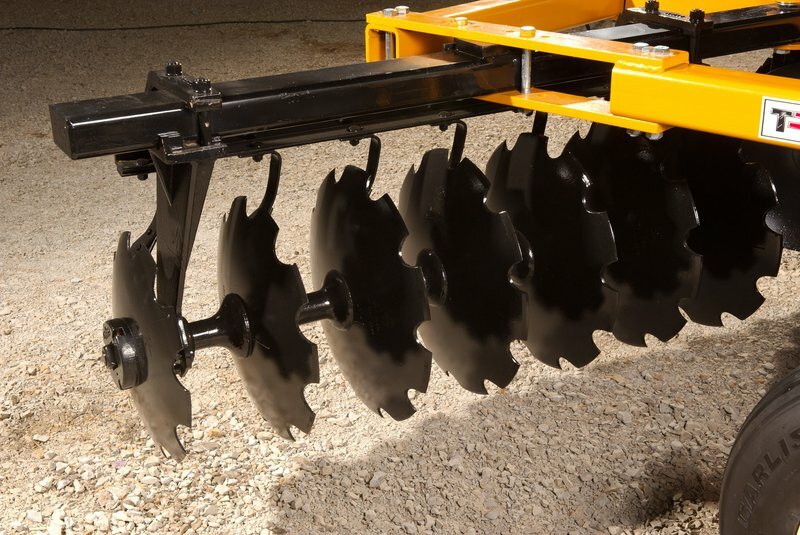 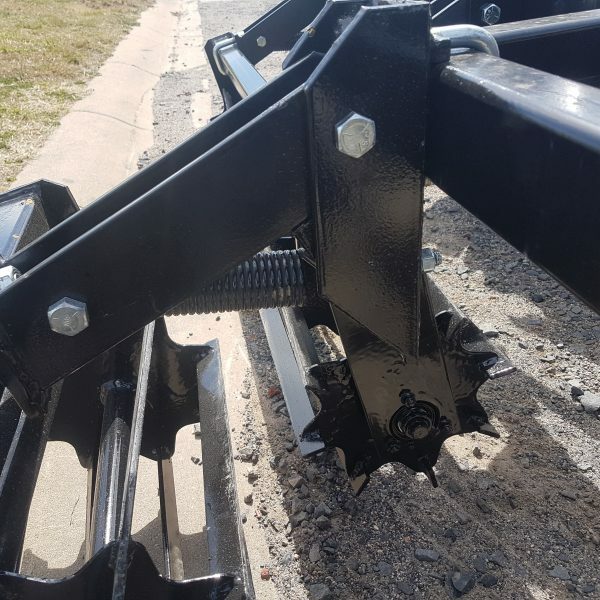 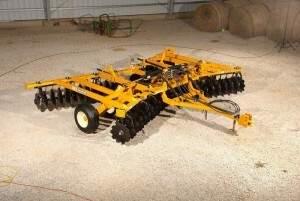 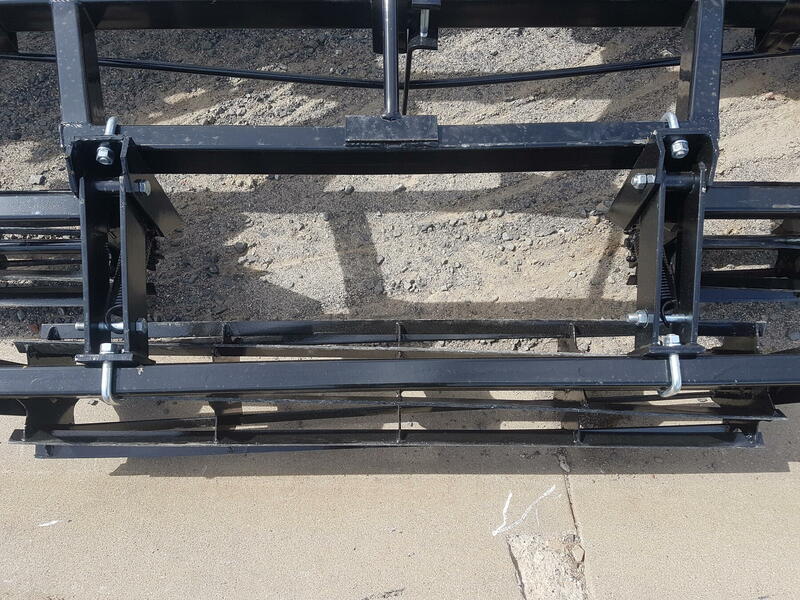 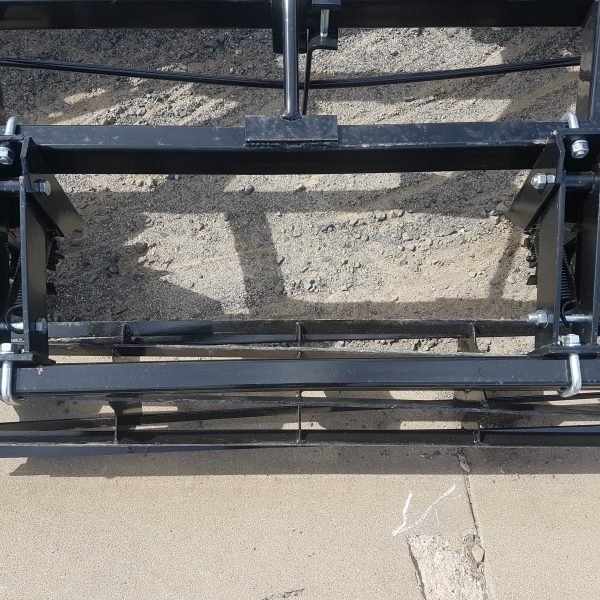 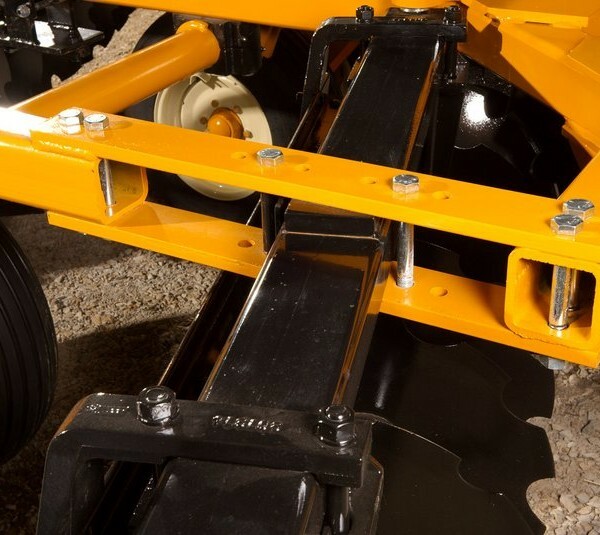 The rigid, tubular frame (4” x 4” x ⅜”) design creates the stability and weight you need to achieve outstanding cutting and levelling even in the toughest soil conditions. 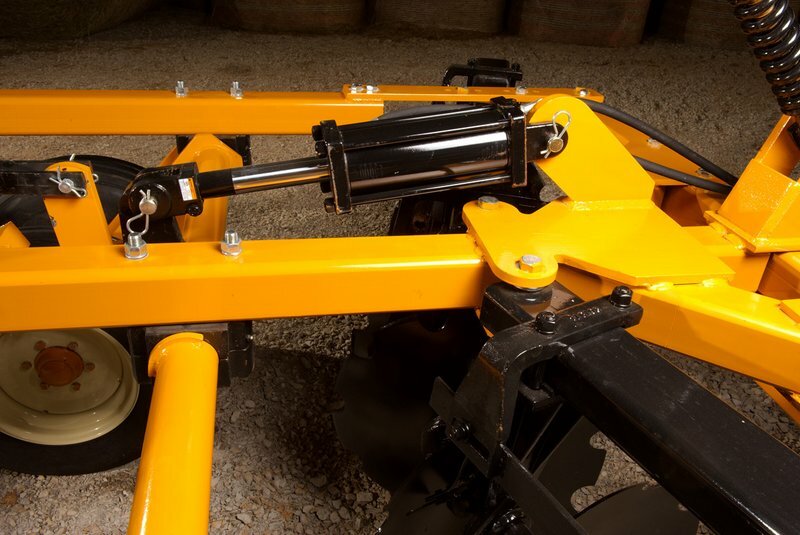 High carbon, square 1 ⅛” gang axles are built to deliver maximum penetration and durability. 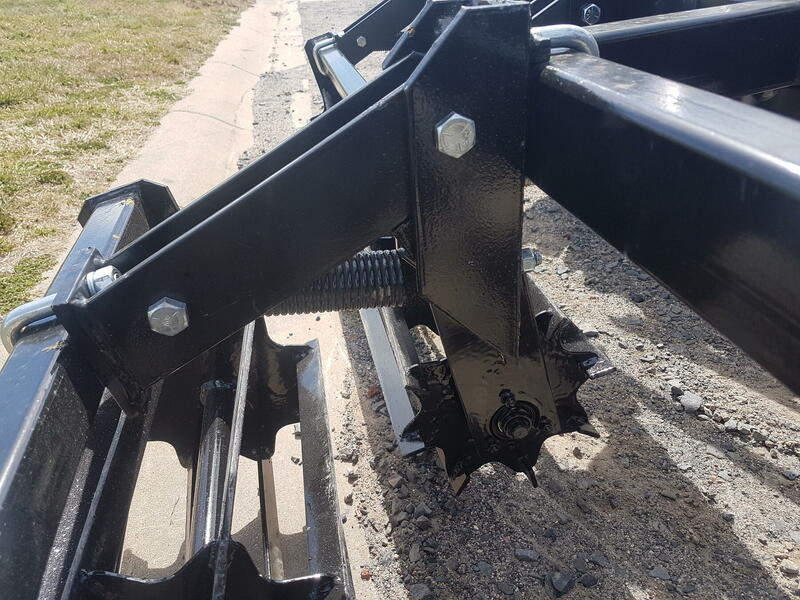 Machined, ductile spacer spools combined with 7 ½”, 9” or combination disc spacing maintain clearance and optimum pulverization. 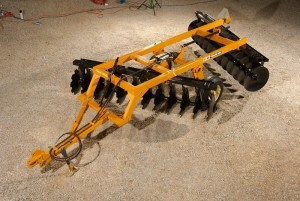 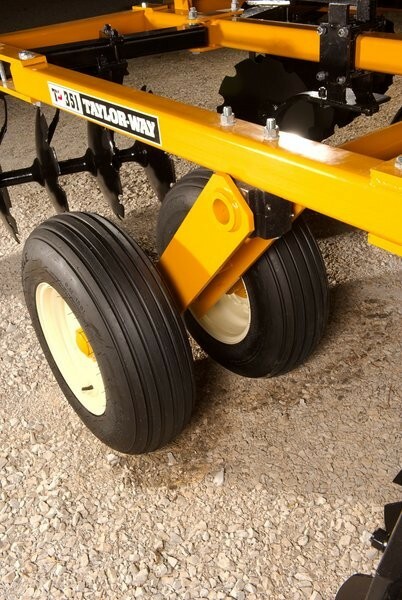 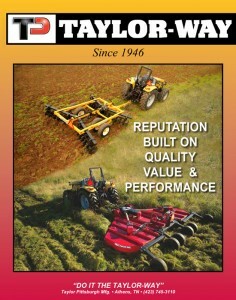 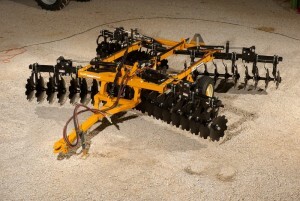 Trust the Taylor-Way 351 to make your job easy, providing excellent discing strength in an implement made to last. 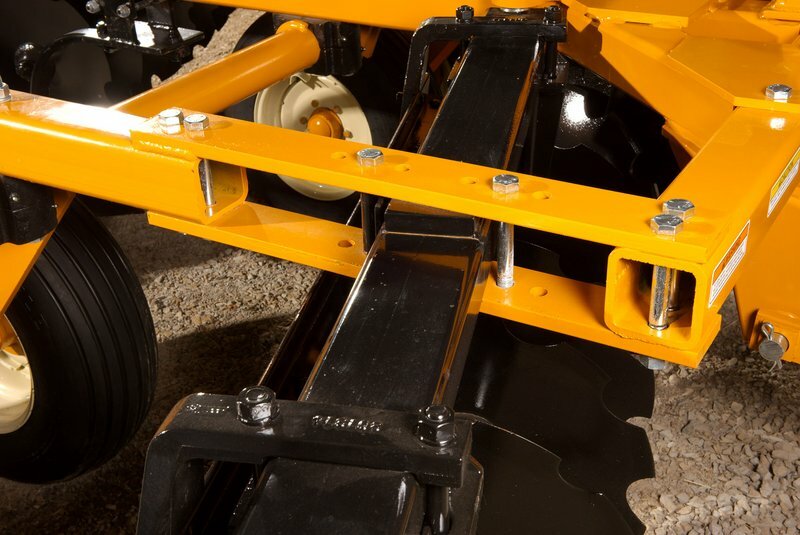 Backed by many years of research and experience, you’ll appreciate the craftsmanship at a price you can afford.